What great color to see outdoors in January! 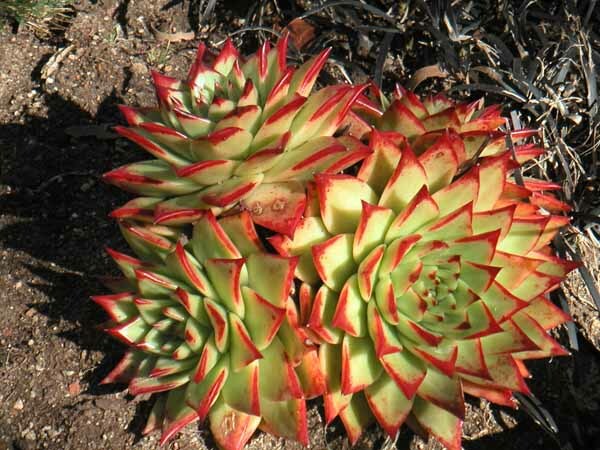 The Getty Center used a variety of succulents planted in a contrasting ground cover, like these hand-sized echeverias,Â to appear like the blooms – clever. 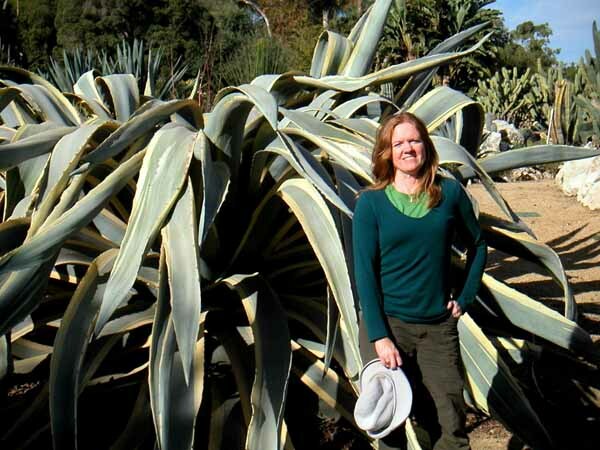 Check out the size of this agave americana. 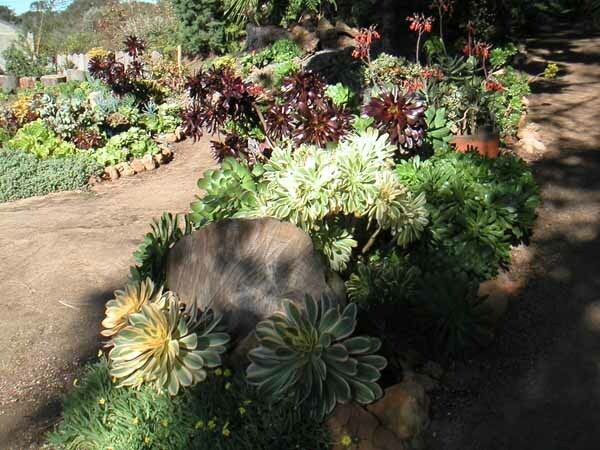 I enjoyed the variety of cactus and succulents at the South Coast Botanic Garden on the Palos Verdes Peninsula. There were also nice woodland gardens – and we saw iris blooming…probably a first for me to see in January. 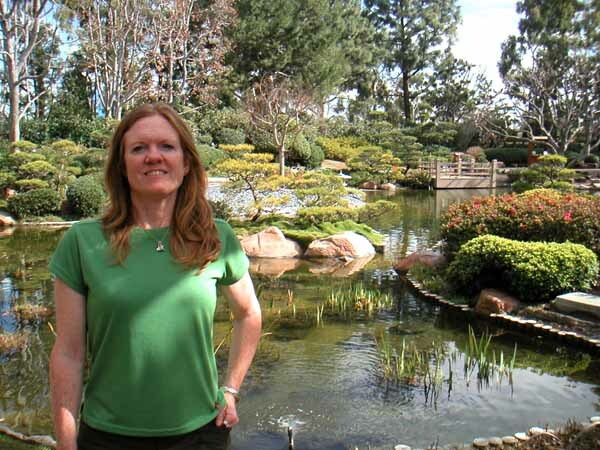 Relatively near by in an LA sort of way, is the Earl Burns Miller Japanese Garden on the campus of California State University Long Beach. This is a gorgeous pocket respite (from traffic) to stroll and relax. Very nicely designed. Perfect spot for a picnic lunch in January! The following day after we walked around Batiquitos Lagoon near Carlsbad and enjoyed a picnic lunch on the coast in Encinitas, we visited San Diego Botanic Garden (formerly Quail Gardens). In addition to this succulent garden, they had another planted in such a way that it looked like an underwater coral reef. There were also succulent topiaries which were quite fun. 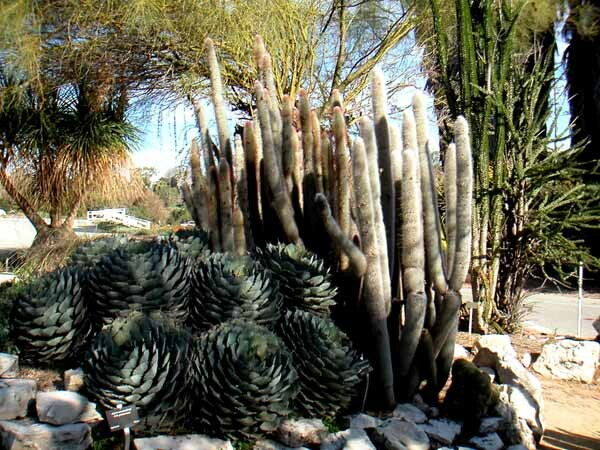 This entry was posted in California, Gardens. Bookmark the permalink.